Just a month to go (until Japanese cinema release). So excited! Posted by ayasawada in Anime, Music, Rave, Video. Is it Nyan Tora. or Nyan Tra? In any case I’m moved enough by this OST to write my first post in months. Nyan Tora. 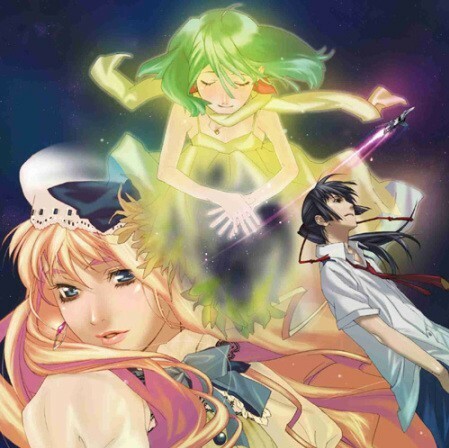 is the second OST for Macross Frontier, an anime with which I was a little disappointed at the end, but which nevertheless I thoroughly enjoyed and who’s music I can’t get enough of. Indeed, Macross F is responsible for getting the non-pop star related anisong back on top of the Oricon charts. Great anisongs are what keep me going in life. Yak deculture!